Newly listed and superbly located in the popular residential area of Cortober is this 4 bedroom detached home with garage. Within easy walking distance of the town centre and all its amenities and also situated close to local Railway Station servicing the Sligo/Dublin line. This property is a detached house with garden to the front and rear and with parking to the front. It is a well laid out house with a kitchen and dining and living area on one side of the hallway and a spacious sittingroom running front to back on the other side. 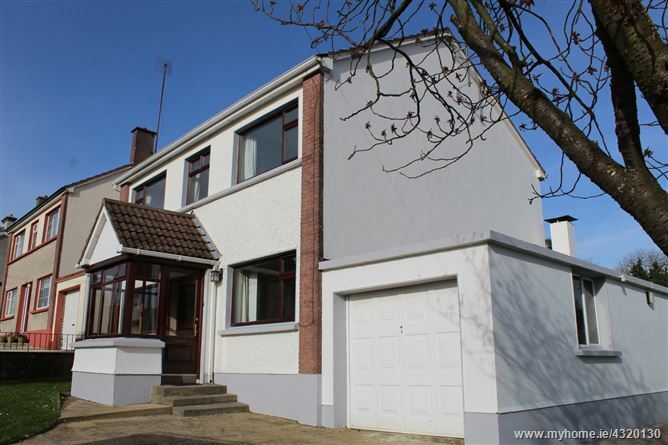 There are 4 bedrooms one with an ensuite and two with views over the nearby R. Shannon and a family bathroom on the first floor. The integral garage also provides extra storage space and there is also and outdoor toilet facility. Viewing of this property is highly recommended with REA Brady. Entrance porch with tiled flooring, glass surround and door to entrance hallway. Entrance hallway with wooden flooring, radiator, stairs to first floor, built in storage unit in hallway, little cloakroom at end of hallway. Sittingroom going from front to back of house with wooden flooring, large window to front garden, radiator and power points, window overlooking garden at rear. Kitchen, Dining and Living area going from front of house to back. Fitted kitchen units with single drainer sink, electric hob and oven, plumbed for dishwasher, tiled over countertop, large window overlooking garden, timber flooring, rear door, power points. Double bedroom which is carpeted, radiator, power points, lovely view to River Shannon at rear, spacious room. Ensuite with shower, whb, wc, mirror and shaver light, radiator. Bedroom which is carpeted, power points, views over back garden. Double bedroom which is carpeted, radiator, view to front garden, power points.